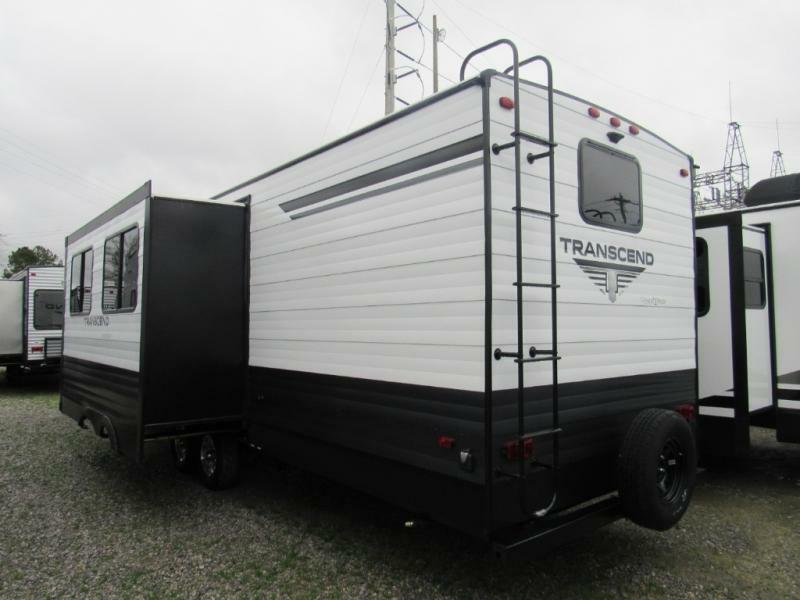 Dreaming about finding a travel trailer to fit everyone's needs in your larger family? 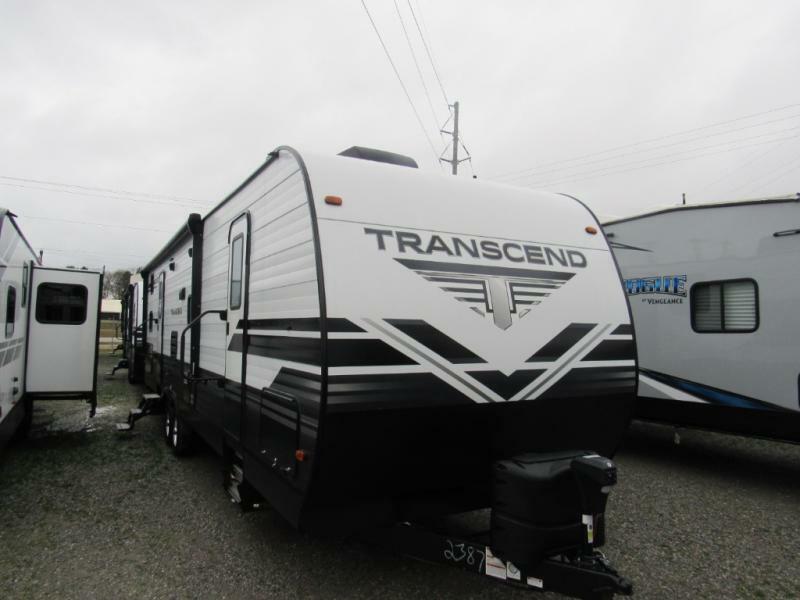 Do you enjoy adventure and comfort when you camp? This Transcend might just be what you have been searching for! 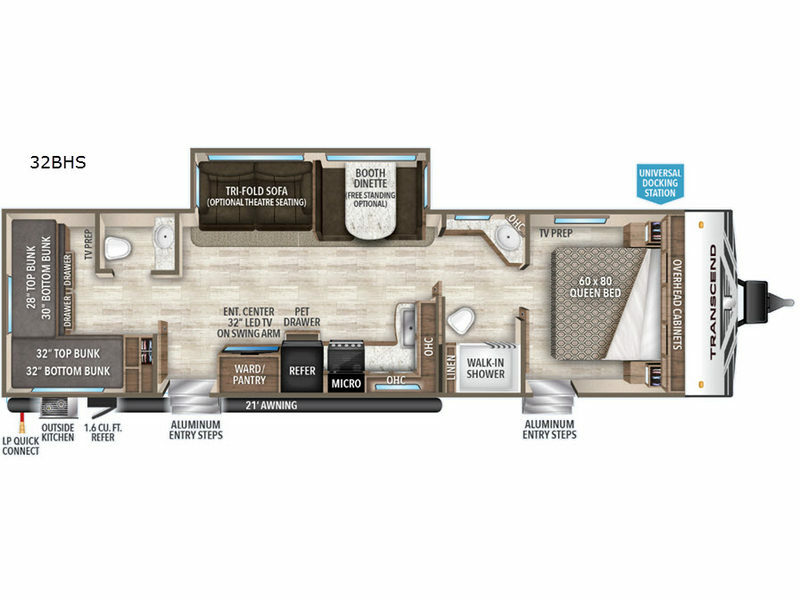 Beginning with the dual entry doors allowing quick and easy access to the front master bedroom and the main living area, to the private bunkhouse with a half bath and quad bunks for the kids, this model offers it all. The convenient walk-through full bath next to the bedroom allows everyone to stay refreshed for the next adventure. You can relax on the tri-fold sofa and booth dinette while watching the entertainment center with a 32" LED TV on a swing arm to get the best view, your dog can eat from the pullout pet drawer, and the L-shaped kitchen allows you to whip up meals without having to move for someone returning from the full bath. There is even an outside kitchen to make hamburgers and such while visiting with other campers. Step inside today! 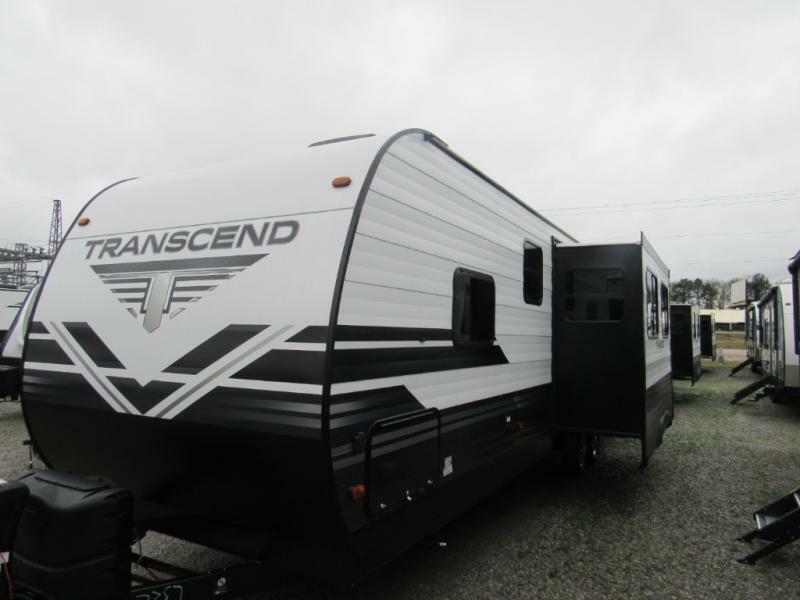 Like all Grand Design products, the Transcend is no different when it comes to functionality and quality construction. 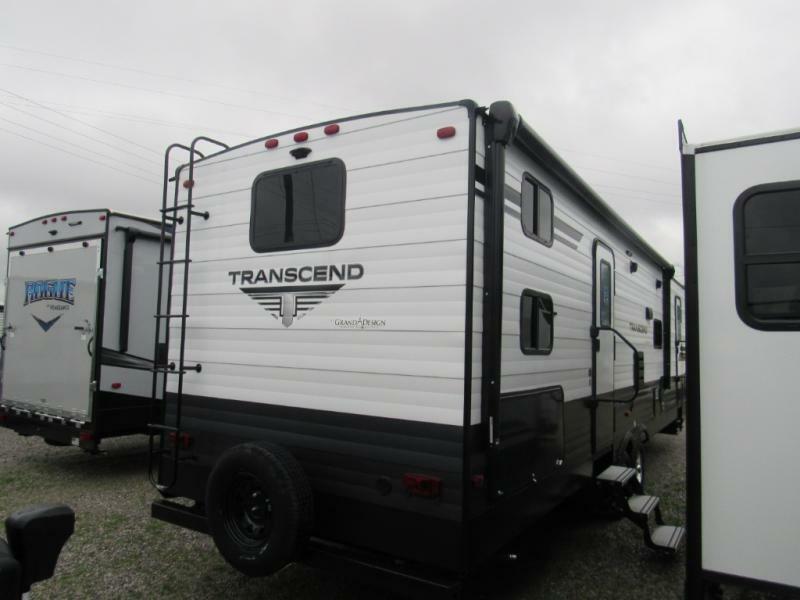 The Transcend features a Strong Wall aluminum exterior that includes a satin metal exterior skin that is 25% thicker than the competitors for a more durable and better looking finish. 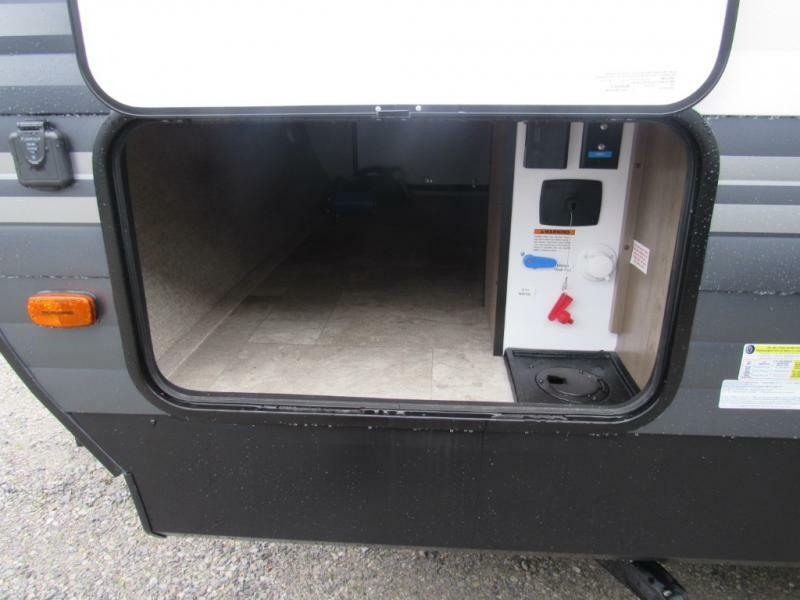 It also includes a fully enclosed and heated underbelly. The roof is double insulated to keep you warm in the cooler climates and cooler in the summer heat. You will also enjoy upgraded furnishings, solid hardwood cabinet doors and drawer fronts, a residential ductless heat system, plus E-Z Lift bed storage, and panoramic windows so the view outside can easily be part of your interior when opened. 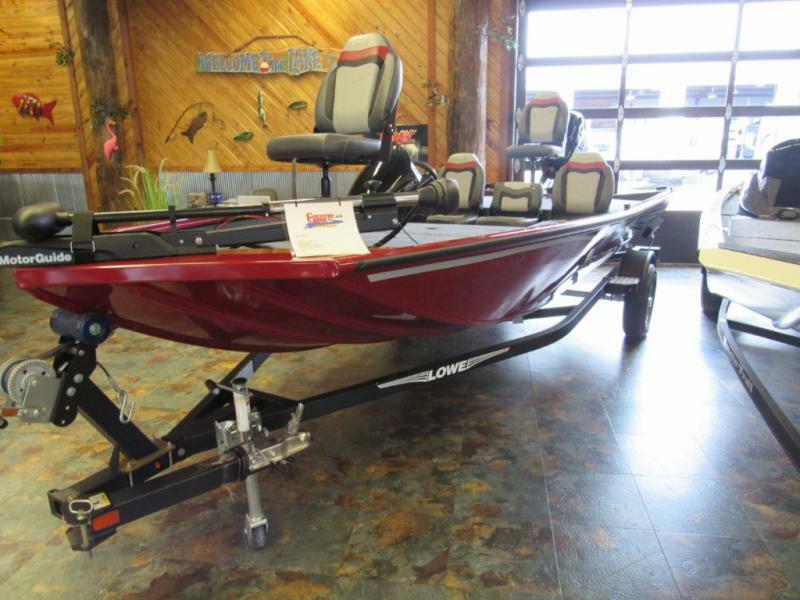 Make a great choice and select any Grand Design Transcend for your weekend adventure headquarters!